As we mentioned a couple of days ago, Dee Roscioli is coming into the First National Tour as Elphaba, replacing Jackie Burns on that production. Her performances start on Tuesday June 7 in Omaha, NE. Roscioli is former Elphaba in more performances than any other actress – more than 1,000 performances and counting. Her las run was in Wicked on Broadway, after closing the record-breaking Chicago production and performing the role in San Francisco. Additional NY credits include The 24-Hour Musicals, Therapy Rocks (NYMF). Nat’l tour: Cats (Grizabella). She recently did a workshop of Bobby Cronin’s Welcome to My Life, and Liberty. Roscioli joins a cast that includes Amanda Jane Cooper as Glinda, Randy Danson as Madame Morrible and Mark Jacoby as the Wizard. With the recent launch of her new Blog “One OZsome Blog” we wanted to do Stefanie’s profile. I will only make some edits from her bio on her site because I think it’s awesome! Born and raised in Phoenix, Arizona, Stefanie knew she wanted to be a performer by the age of three. With the support of her parents, Stefanie began voice and dance lessons. At the age of eight, Stefanie made her stage debut as Dorothy in her school play of “The Wizard of Oz”. Throughout her teenage years, Stefanie continued all lessons and fought the stress of trying to balance both theatre and sports. By the end of her senior year, Stefanie made the decision she wanted to pursue a degree in theatre. After auditioning for theatre schools, Stefanie decided to attend the University of Arizona. Throughout college Stefanie would star in such productions; Juliet in Shakespeare’s “Romeo and Juliet”, Cunegonde in “Candide”(Mac Award Nomination), and Hope Cladwell in “Urinetown”. In the spring of May 2008, Stefanie received her BFA in Musical Theatre. After graduation, Stefanie spent the summer in Tennessee, doing summer stock. In the month of September, Stefanie made the big move to New York City. She lived in the city for about two months before she received the call telling her she was cast in the regional production of “Hair” at Arizona Theatre Company and would be earning her equity card. Stefanie would soon return to AZ and begin to rehearse with her new tribe. During the rehearsal process, Stefanie was called to come audition for the Glinda understudy for the national tour of Wicked. During a day off, Stefanie flew back to NY for the audition. On her way back to the airport, in the middle of Penn Station, she got the call saying she had booked it! As she recalls, one of the happiest moments in her life. Stefanie is currently touring around the country with the first national tour of Wicked. Stephanie is now portraying Nessarose in the First National Tour of Wicked. 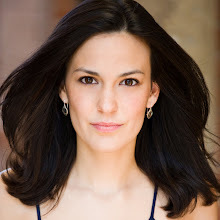 Lisa Brescia, born in Sioux Falls, South Dakota, is an American musical theatre actress who has performed as lead and understudy in several Broadway shows. Lisa is a graduate of the American Academy of Dramatic Arts. Brescia has played the role of Amneris in Elton John and Tim Rice’s Aida in several productions. Brescia joined the first national touring production in 2002 as the standby for Kelli Fournier. She assumed the role of Amneris in September 2002 when Fournier left the production. Disney later moved her to the Broadway production as the standby for Mandy Gonzales. Brescia assumed the role on January 4, 2004 upon Gonzales’ departure. She remained in the role until the final performance on September 5, 2004. Brescia returned to the role for one week in 2006 at The Muny in St. Louis along with Simone and Will Chase, both of whom also appeared in the Broadway production. On February 13, 2007, she replaced Saycon Sengbloh as the Elphaba Standby in the Broadway production of Wicked. She left the production on May 18, 2008. She served for Julia Murney and later, Stephanie J. Block. On June 3, 2008 she replaced Dee Roscioli as the principle Elphaba in the Chicago production of Wicked. She left on August 24, 2008 when Roscioli returned to the role. Brescia then starred in the Kennedy Center for the Performing Arts’ Broadway: Three Generations, a three-act evening featuring condensed versions of Girl Crazy, Bye Bye Birdie, and Side Show. The show was presented at the Kennedy Center’s Eisenhower Theater October 2-5, 2008. Lisa was recently seen in The Unauthorized Autobiography of Samantha Brown as Mom in Orange County, California. Brescia will replace Beth Leavel as Donna Sheridan in the Broadway production of Mamma Mia! beginning October 22, 2010. KRISTEN LEIGH GORSKI Wicked original company, current Fight Captain, former Dance Captain. Broadway: Footloose original company. National tour: Wicked (Asst. Chor.). Other: David Marquez’ Dance With Me. Various national commercials/voiceovers. Training: Syracuse Univ., School of American Ballet. Rachel Tucker was born in Belfast, Northern Ireland. She is singer and actress who is more known as one of the finalists in the BBCtalent show-themed television series I’d Do Anything in 2008. She currently stars as the lead role of Elphaba in the hit musical Wicked in the West End. Tucker trained at the Royal Academy of Music. She worked with Any Dream Will Do winner Lee Mead in the 2005 United Kingdom tour of the Rock musical, Tommy as Sally Simpson. In December 2007 Tucker appeared as Dorothy in the Royal Shakespeare Company adaptation of The Wizard of Oz, written by John Kane at the Lyric Theatre in Belfast. The Stagedescribed her performance as “looking and sounding uncannily like the legendary Garland”. Tucker recorded a version of the civil rights anthem “Ain’t Gonna Let Nobody Turn Me Around” which was used in a television advertisement for Libresse in 2005 entitled “March”. Rachel currently stars as the leading role of Elphaba in the London production of the hit musical Wicked. She replaced Alexia Khadime on 29 March 2010, and stars opposite Louise Dearman as Glinda. Theatre includes: ‘Mary’ in Tonight’s The Night (national tour); ‘Maureen Johnson’ inRent (Olympia Theatre, Dublin); ‘Sally Simpson’ in The Who’s Tommy (national tour); ‘Estelle Genovese’ in The Full Monty directed by Jack O’Brien (national tour); ‘Dorothy’ in The Wizard of Oz (Lyric Theatre, Belfast) for which she received a 2008 TMA Theatre Award Nomination for Best Performance in a Musical; ‘Grace Power’ in To Be Sure; ‘Kelly’ in Merry Christmas Betty Ford and ‘Amy’ in Have A Nice Life (Lyric Theatre, Belfast). Workshops include: ‘Dusty Springfield’ in Dusty (Leicester Square Theatre) and ‘Meg Giry’ in Love Never Dies directed by Jack O’Brien (Sydmonton Festival). Rachel appeared on I’d Do Anything (BBC), where she reached the semi-final stages for the role of ‘Nancy’. Rachel has recently finished playing ‘Meat’ in We Will Rock You(London Dominion) directed by Ben Elton and co-presenting The Friday Show opposite Eamonn Holmes (BBC/Green Inc). Alyssa Fox is the current understudy for the role of Elphaba in the San Francisco Production of Wicked. She is amazingly talented! Mariand Torres is the current Standby for the role of Elphaba in the First National Tour of Wicked. She was seen at NYMF in the staged reading of Cutman: The Boxing Musical. Other credits include Mona in The People Vs. Mona (Abingdon Theatre,), My Way: A Musical Tribute to Frank Sinatra, Violet, andFalsettos. BM in Musical Theatre, University of Miami. AEA member. Workshops: Like Water for Chocolate (Sundance Theatre lab), Tina Girlstar (NY Stage & Film) and Harold’s Harem (LAByrinth Theatre Company).